Every year, since my husband and I started dating wayyy back in the late 1990’s, we’ve made homemade Christmas gifts for our families. Our brand is K&R – our first initials. We’ve made soap, salad dressing, peanut butter, cookies, and probably a few other things I don’t remember. I use a muddler (like one you would use to pound the limes and mint together when making a Mojito) to press each layer down firmly in the jar. If there was room left at the top, I crammed in a few more chocolate chips to make everything fit tightly. 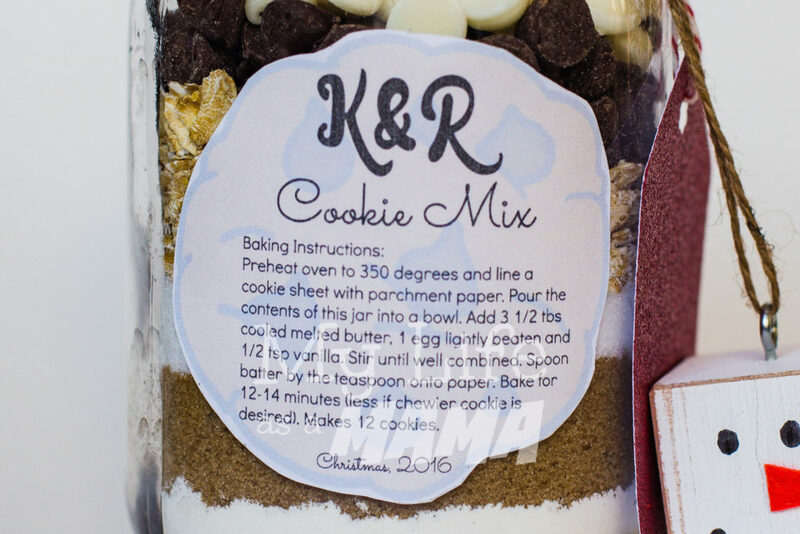 To finish and embellish the jars, I searched Google for clip art and used PicMonkey to add baking instructions. Each label was printed, cut out by hand, and run through my Xyron Creative Station to turn them into stickers that I stuck to each jar. I wrapped the top of each jar with some red and white bakers twine, added a gift tag, and a little snowman ornament I made. The gift tags were a last minute add-on. I happened to find these pads of festive card stock in the dollar section at my local Target (they were $3). I cut out the tags (6 per sheet) with my gift tag maker, punched a hole in them, tied on a piece of bakers twine from my gigantic spool, and had whole lot of super cute, very inexpensive gift tags! I used a silver Sharpie to write names on the back of the tags. 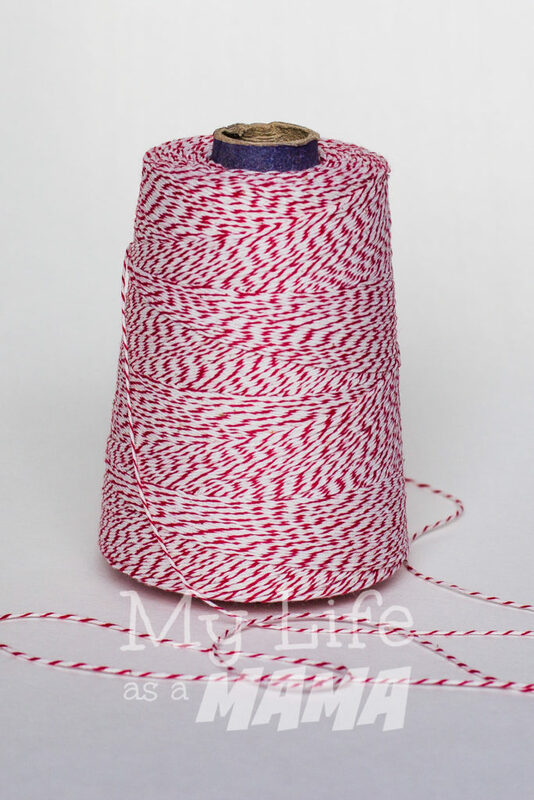 I don’t know when I bought this twine, but it’s huge and I think it’ll last forever! 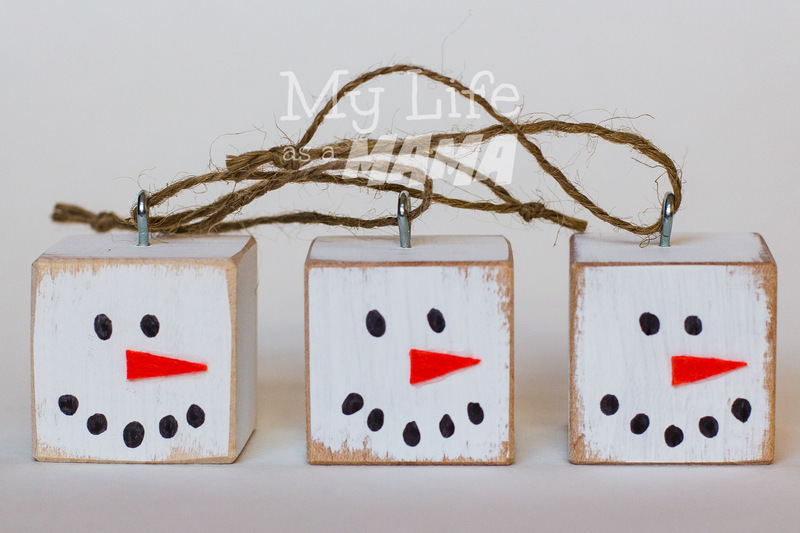 The snowman ornaments were inspired by a photo my sister sent to me. We like to have a craft on hand for my family to do at Christmas and this is what we chose for this year. We stayed busy with other things and didn’t end up doing the family craft. 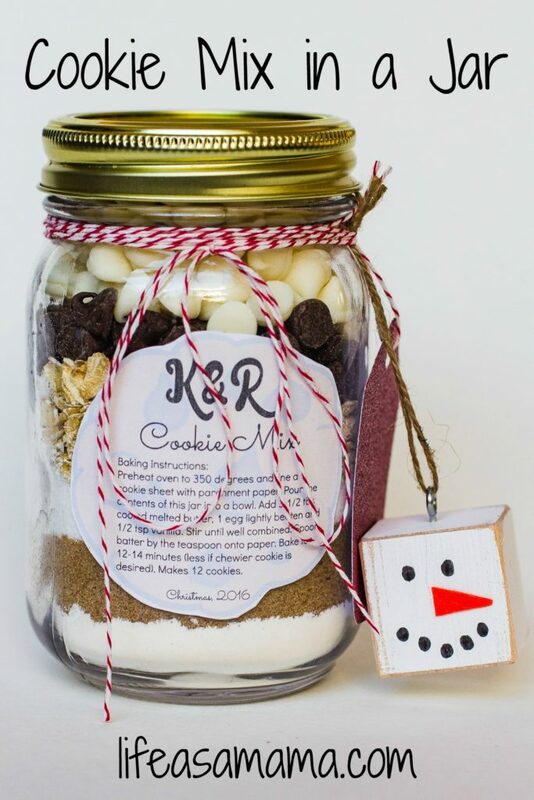 Anyway, I thought they were adorable, so I decided to add them to my cookie mix jars! They were a little bit time consuming, but very easy to make. I purchased 1 1/4″ wood blocks at my local craft store. They came in a pack of 8. When I realized I loved them and would need more, I found this pack of 50 on Amazon. I painted the blocks with 2 thin coats of acrylic white paint. My 6-year-old helped with this step. When the paint was dry, I sanded the edges and each side of the blocks to give them an aged look. The sanding is the part that was time consuming. Everything else was fast and easy. I used a black sharpie to draw on the eyes and mouth, and a small piece of orange felt and tacky glue for the nose. I purchased some small eyelet screws at my local home improvement store, and used a tiny drill bit to drill holes in the top of each block before inserting the eyelets. A piece of twine was added and the snowmen were finished! 2016 gifts…done! Now it’s time to plan for 2017. 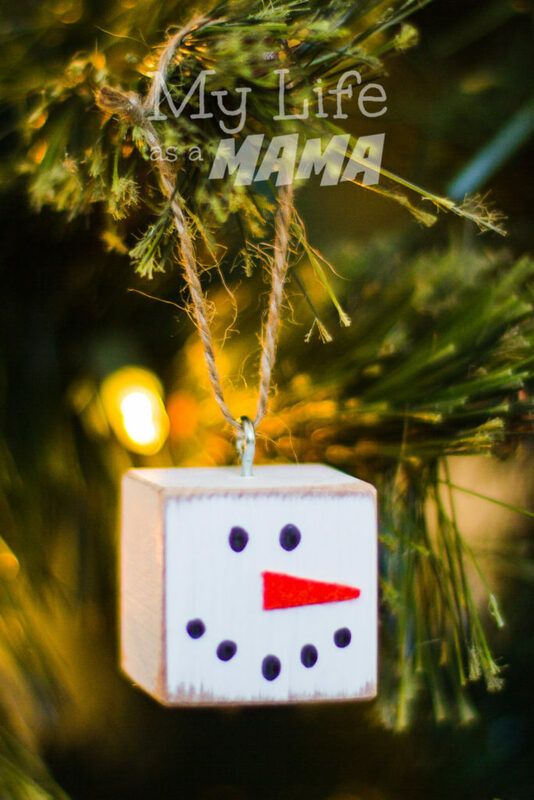 Do you make homemade gifts?